While pest infestations like spiders and ants are a nuisance and can usually be eliminated easily, there are some pests like termites that pose a much larger threat to your home. At Ledford’s, we’ve seen the damage that termites can cause and we know it can be detrimental. That’s why we offer residential termite control services that can find and eliminate your problem quickly and effectively. Whether you’re dealing with drywood termites, subterranean termites, or even Formosan termites, your home is susceptible to structural damage. Each one of these termites feeds on cellulose, which is found in both wet wood and dry wood. It can also be found in common items like cardboard, paper, cotton, and more. Once a colony of termites finds a food source of cellulose, it will continue to eat through it until it’s gone. As termites eat, they leave behind large holes or cracks in the wood and over time, these holes and cracks can weaken the wood and cause it to bend, sag, buckle, or even collapse. When this happens to an area of your home, it can be a serious problem and can take lots of time and effort to fix. If you believe you have a termite infestation, we want to help you eliminate it as quickly as possible to minimize the damage done to your home. 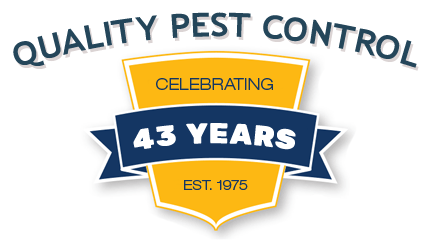 Give our residential termite control service experts a call today to set up an inspection appointment. Once we determine the area and the severity of your infestation, we’ll get to work with effective solutions that get rid of your termites once and for all. 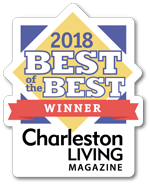 At Ledford’s, our Charleston Tri-County company knows how detrimental termite damage can be to a home, which is why we turn to Termidor termite treatment. 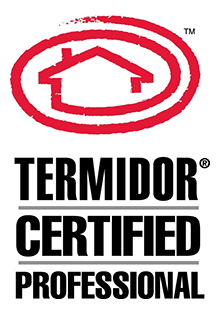 Developed by professionals and tested around the world, Termidor is the best solution for subterranean, Formosan, and drywood termite infestations. Not only can Termidor help eliminate termites immediately, but the treatment is effective for up to eight years. At Ledford’s, we want you to enjoy a termite-free home and rest easy knowing your structure is protected. Talk to us today about the benefits of Termidor.